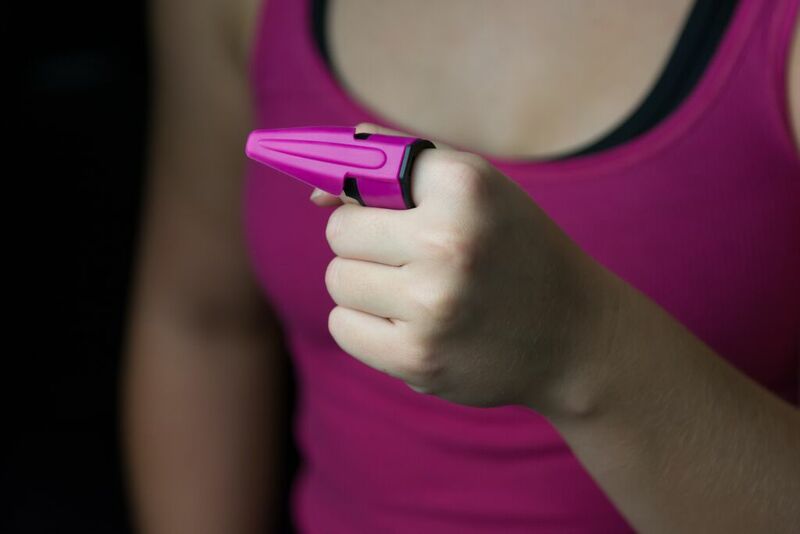 A new, self-defense product for active women. Slip Go Guarded on your finger and Go. It is a convenient, comfortable, effective way to defend yourself if the unthinkable should happen when you are out running, hiking, or walking. Run before the sun? Long walks with your four legged friends? Go Guarded is a new option for active woman to defend themselves. 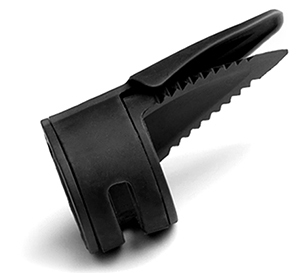 Go Guarded is a heavy-duty plastic serrated-edge weapon that is worn on any finger. It is convenient, effective, comfortable, and always ready. Unlike mace or pepper spray, Go Guarded will not spray back on you, need to be retrieved from a fanny pack, or be knocked out of your hand. Choose between colors Magenta or Black. I think this is an awesome investment in your own safety. I bought one for me and one for a friend who bartends and walks to her car after midnight. I feel safer when it’s night out and I’m walking somewhere with not a lot of people around. The adjustable inserts makes it a perfect fit on whatever finger. I prefer my pointer finger. It is very sharp and I have no doubt this would harm someone in an emergency. I hope I never need it but am glad to have in case the worse happens. I’ll be getting another one to carry in my purse and to give to friends.